Karl is an a2 sized drawing table. 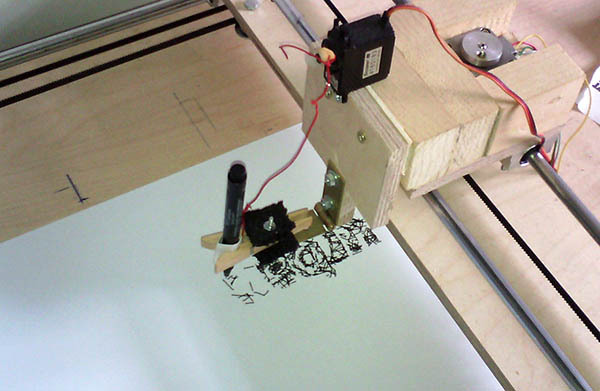 He is controlled via serial connection by an openframeworks drawing application running on the mac. 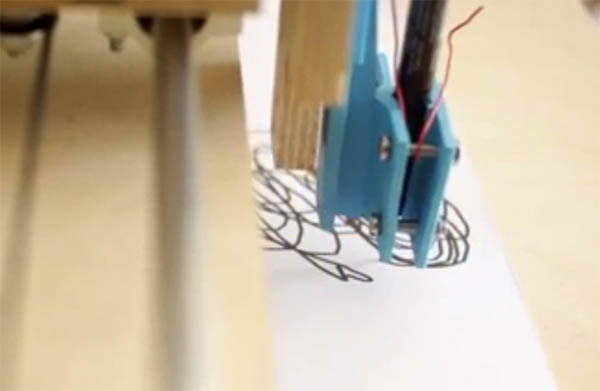 The hardware consist of an Arduino uno r3 an stacked motor shield running two nema17 stepper motors for x and y axis and a servo motor for lifting the pen.